Cattle Services are pleased to announce another fantastic sire that is available in Sexed Ultra 4m straws. Swaites Dermott is a West Mossgiel Modern Reality son of the fantastic Swaites Dilly 4. 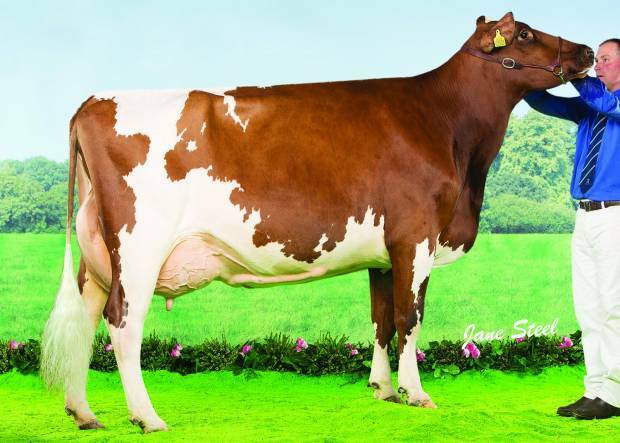 As well as being a great show cow and classfying EX 91 Dilly 4 is also a great production cow with her first 3 lactations averaging 8,650kg at 4.5% fat and 3.2% protein. Behind Dilly 4 are a further 2 dams who are scored VG88 and EX94. Dermott himself has great predictions of breeding high producing daughters that will also look great. Sexed Ultra 4m and Conventional straws are available for World Wide distribution.